Surgical Instrument Washers washing instruments prior to sterilization. Scientek Surgical Instrument Washer Disinfectors, washing instruments prior to sterilization, are manufactured in the America, and designed to deliver reliable washing performance, with locally available nonproprietary replacement parts. Scientek Disinfector Surgical Instrument Washers, washing instruments prior to sterilization, deliver reliable surgical instrument washing temperatures for disinfection. 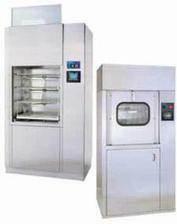 Scientek Surgical Instrument Washers Disinfectors have washer disinfector temperature cycle times of 12-16 minutes. 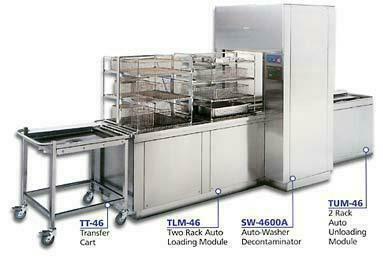 Scientek Washers deliver Washer Disinfector rinse cycle temperatures.